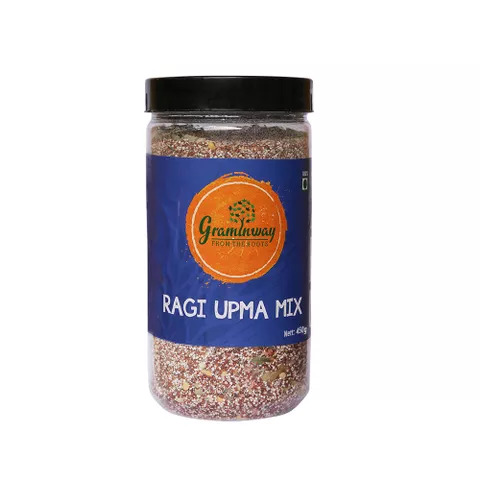 Graminway Ragi Upma is rich in fiber, antioxidants, and protein. Relish daily and experience controlled blood sugar levels, improved bone strength, and reduced cholesterol. It is made with ragi rava and flavored with mild spices and curry leaves. A perfect and healthy alternate for suji upma. All things being cyclical, the millets, which are nutritionally more dense and fibrous than rice or wheat, are finding a resurgence. Millets that our ancestors ate are making their comeback onto our dining tables in the form of snacks and granola and tradition breakfast and lunch preparation. 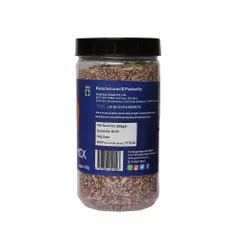 It is rich in nutrients, dietary fibers, vitamins, and minerals, including zinc, calcium, potassium, magnesium, iron, and fats that significantly boost health. It is best served with fresh Mint chutney.